Given the utility of the phase component of light, studies focusing on the optimization of retrieving it have been conducted. The use of amplitude or phase modulations proved to be the ideal technique in improving reconstruction. With further study, we aim to provide a means of determining when it is necessary to introduce such controlled modulations to the system based on the characteristics of the objects used. We first show the direct effects of an isolated component to the reconstruction of the object wave. The approach shown in this paper used high frequency binary apertures having equal sized active areas but with increasing cycles of bright and dark bands. The SBMIR with transit plane algorithm was implemented to show the effects of a constant and spherical phase of the object on reconstruction. Our simulations show that test objects with spherical wavefront resulted in enhanced reconstruction compared to test objects with uniform phase. R. Tabuzo and P. Almoro. 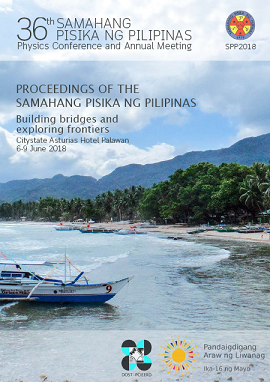 Effects of object spatial frequencies on the convergence of multiple plane phase retrieval, Proceedings of the Samahang Pisika ng Pilipinas 36, SPP-2018-PA-16 (2018). URL: https://paperview.spp-online.org/proceedings/article/view/SPP-2018-PA-16.